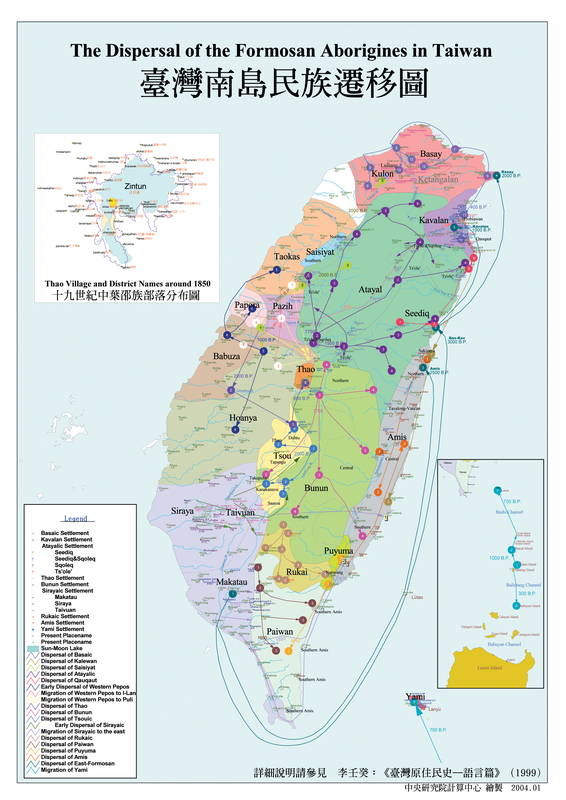 This is an ethnolinguistic map of Taiwan 500 years+ ago, which also represents the footprint of where the aborigines live today. The cutest politician in the beautiful island of Taiwan, Tsai Biao Chifang, has put forward an innovative proposal in the Legislative Yuan, to attack and take over the mainland (反攻大陸). "Since we have been wasting money on building up our military, why not use the force to take one to two uninhabited island in the mainland in 2006-2007, to sharpen our knife?" He proposed. When received overwhelming support from the pan-blue legislator, Mr Biao took back the proposal. However, he maintained that ROC should take some island near Lan Yu (Orchid Island) or Lv Dao (Green Island). If you have examined the maps above map careful enough, you would see that there is only one small island near Lan Yu, which is already under Taiwan control. Further south there is a group of islands called the Batans, currently belong to the Philippines. The people there belong to Yami group of Lan Yu. Apparently DPP has recently become more "aggressive", after starting to build an airport in the Spratly (Taiping), now it is contemplating waging war with the Philippines. My advice, there is this uninhabited island they should take, I am sure PRC would give them full support if they do. I gotta disagree about the aborigines being pushed to the southwest by Han. Land disputes between ping-pu tribes and Han settlers did indeed trigger skirmishes and a couple of small-scale migrations (less than 4,000) among aborigines from the central plains since the early 1800's, but many overlook the fact that the vast majority of plains aborigines stayed put, adopted Han cultural practices, and melted in with the new neighbors. Interestingly, those small migrations (one from central Taiwan to Ilan in the 1820's (?) ) is largely responsible for the misconception that the plains aborigines were all pushed up into the mountains by Han settlers. John Shepherd's book "Statecraft and Political Economy on the Taiwan Frontier (1600-1800)" is a great reference for a wonderfully convoluted and surprisingly well-documented story of early Han-Aborigine relations. i think you are probably right about the aborigine, since some of the migration direction (and dates) seems to be pre-Han immigration. There was probably more conflict between Hakka and Hoklo, since they compete for the plain and arable land. Han integration with the minorities are usually smooth than what happened in the New World. (in th mainland as well). perhaps Confuscius value has something to do with it. "Apparently DPP has recently become more "aggressive", after starting to build an airport in the Spratly (Taiping), now it is contemplating waging war with the Philippines." So, what does the Government of the Republic of China on Taiwan think of the DPP's plans? I think Tsai Chifang was making a point/joke by proposing it. It certainly was not endorsed by DPP. The plan got a good laugh in the Legislative Yuan, the Minister of National Defense was scared, and Tsai withdrew his plan and went on with his New Year vacation to Macau. read today world journal in LA, it talks about the strategy of the airport being built in the South China sea and then another article talks about the dooming Taiwanese economy like the decrease in export in Kaohsiung port for the first time in Taiwan's history. i search LA Times' website but couldn't find anything. World Journal the Chinese newspaper, I left it at work today, I will try to bring back home tomorrow. the link about the airport You guys from Hong kong like to read Tsingtao newspaper. Taiwanese prefer World Journal. i read world journal as well. singtao is ok, but it is mostly available in the web as well. There were some suggestions that the Taiwanese aborigines were originated from central America... very interesting provocation.